NEW PRODUCT – USB WiFi (802.11b/g/n) Module with Antenna for Raspberry Pi « Adafruit Industries – Makers, hackers, artists, designers and engineers! 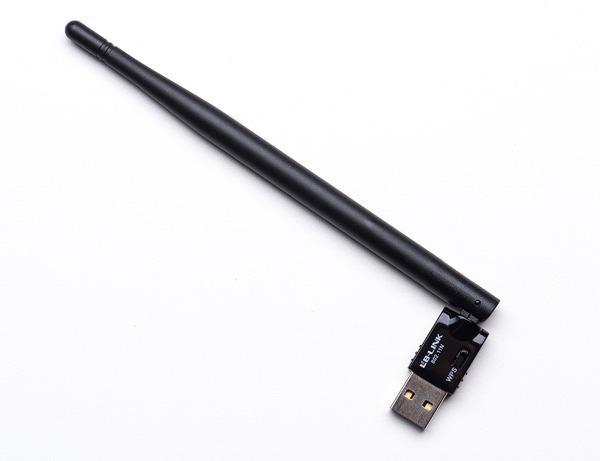 NEW PRODUCT – USB WiFi (802.11b/g/n) Module with Antenna for Raspberry Pi. Make your Internet of Things device cable-free by adding super WiFi. 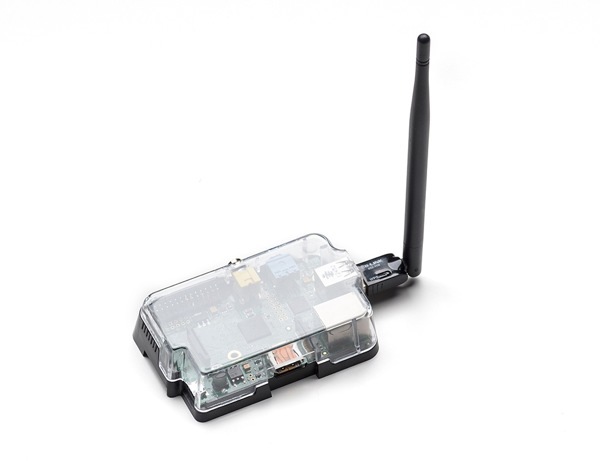 Take advantage of the Raspberry Pi and Beagle Bone’s USB port to add a low cost, but high-reliability wireless link. We tried half a dozen modules to find ones that work well with the Pi and Bone without the need of recompiling any kernels: its supported by the Bone’s Angstrom installation that comes with each Bone as well as the Adafruit Occidentalis distribution. You’ll have wireless Internet in 10 minutes! Works great with 802.11b/g/n networks. When you don’t need the small size of our Miniature or Stick-size WiFi adapter, this guy has a massive antenna for greater range! Please note we have changed to an adapter that does not have a removable antenna. Because of the high power required by WiFi, a 5V 2A power adapter is required to power both the Bone and WiFi. Flaky behavior and crashes may result if this is not followed! We have a tutorial for using this module with the Beagle Bone! The latest Wheezy distributions support this module out-of-the-box. Also, the Adafruit Occidentalis distribution has support built in. Check out our detailed tutorial for how to set up WiFi networking on the Pi You may find that you need to have a powered hub to use this adapter, so if you’re having power flakiness with your Pi, try a hub!